In anticipation of the new TCG set, Betrayal of the Guardian, being released tomorrow, we've published the Gusting Grimoire pet profile. In fact, today is the LAST DAY of the Gusting Grimoire Pre-Sale! So if you haven't pre-ordered your new floating spell book yet, today is the perfect day to do so. NOTE: Anyone who pre-orders will receive a loot code within the next day or two. 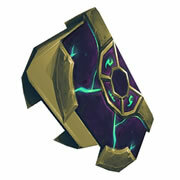 However, the pet itself cannot be redeemed in-game until patch 5.2 goes live. So why pre-order if you can't get the pet until 5.2 hits servers? Well, in addition to being one of the first people on your server to show off your new Grimoire once the patch is live, your pre-order enters you into a random drawing to receive the rare BlizzCon 2009 pet, Grunty the Murloc Marine! In addition, every sale helps to support WarcraftPets. Pre-order your Gusting Grimoire now, on this, the last day of the pre-sale! Best of luck in winning Grunty!